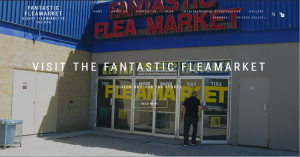 The Fantastic Flea Market was established in 1976. It is the oldest and longest running market in the GTA. A visit to the Fantastic Flea Market is something of an art show. You can expect the most unusual and unique items at very reasonable prices. Give-aways, bargains and fun are served up every weekend. 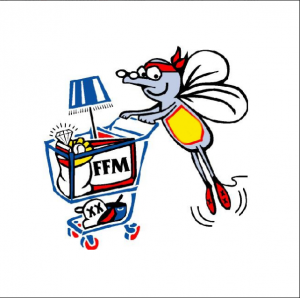 Entertainment, the hustled and bustle of bartering with varied, friendly vendors and the enormous bargains to be had are compelling reasons why the popularity of the Fantastic Flea Market continues into its 30th year of operation. Open from 10am until 5pm every Saturday and Sunday. All year around. From 2013-2015, Page Marketing Consultants continued to make important and necessary changes to improve the speed and responsiveness of the website for potential customers to visit it and travel to the retail location. However, some problems began to surface as https://www.missisauga-fleamarket.ca started disappearing from a number of search engines. After an exhaustive analysis by internal and external SEO experts, it was concluded that the website was being attacked by hackers and there was a need for cybersecurity tools to protect it. Between 2016-2018, https://www.mississauga-fleamarket.ca was rebuilt and changed to .org at least twice. The website again was hacked in 2017 and rebuilt with the .org designation and stronger cybersecurity measures were implemented. 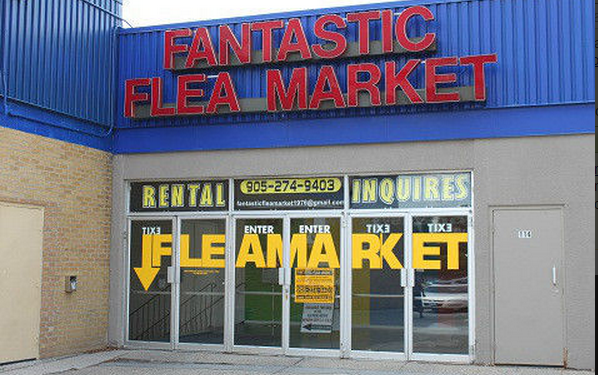 Due to a number of unforseen circumstances, Page Marketing Consultants was asked by the management of the Fantastic Fleamarket Limited to undertake operational control of its Facebook page:https://www.facebook.com/FantasticFleaMarketGreaterTorontoArea/ in 2016. 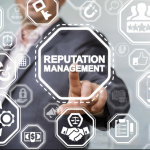 In fact it was a good sign as Page Marketing agreed with management that social media communications must be an intergral part to connect with customers. 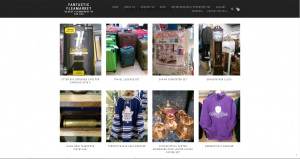 In 2017 Page Marketing added an Instagram.com, Twitter.com, Pintrest.com and G+ page to the https://www.mississauga-fleamarket.org/ website. Video reviews were added to the Facebook.com channel. 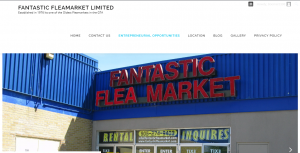 In the Summer of 2018, A number of vendors approached Page Marketing Consultants that https://www.mississauga-fleamarket.org/ referrers to a non-profit or educational/government institutions and not good for traffic generation to physical retail locations. Management was advised of the issue and asked us to investigate the issue and provide a solution. The staff of Page Marketing conducted an in depth analysis on the issues of whether a .org is better that a .ca or .net. Professional SEO companies indicated on articles like Search Engine Land that it does not matter, because what drives traffic to websites in 2018 are content, e-mail marketing, videos and white papers. Nevertheless, Page Marketing Consultants (after considerable analysis and review) agreed to explore the option to create a https://www.mississauga-fleamarket.net/. The goal was to respond to the need to modernize the website to respond to new e-commerce designs that highlight products as well as vendors. In addition the new website would be faster, have better security, be more appealing to customers and better integrate with YouTube.com and the existing social media channels and the Fantastic Fleamarket Flyer. 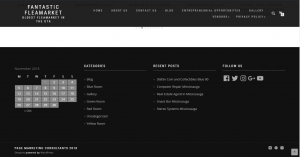 Lastly the new website can be used for e-mail marketing and communicating newsletters to market promotions, specials and offers. 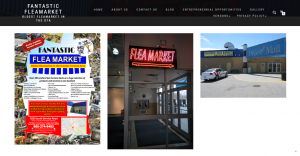 The new website https://www.mississauga-fleamarket,net/ has been built and is under review by the management of the Fantastic Fleamarket.